Grab your flip-flops and sunglasses because we are off to visit the wonderful collection, Santorini! Based on tropical island adventures this collection by Frank Garcia is absolutely perfect for summertime projects! 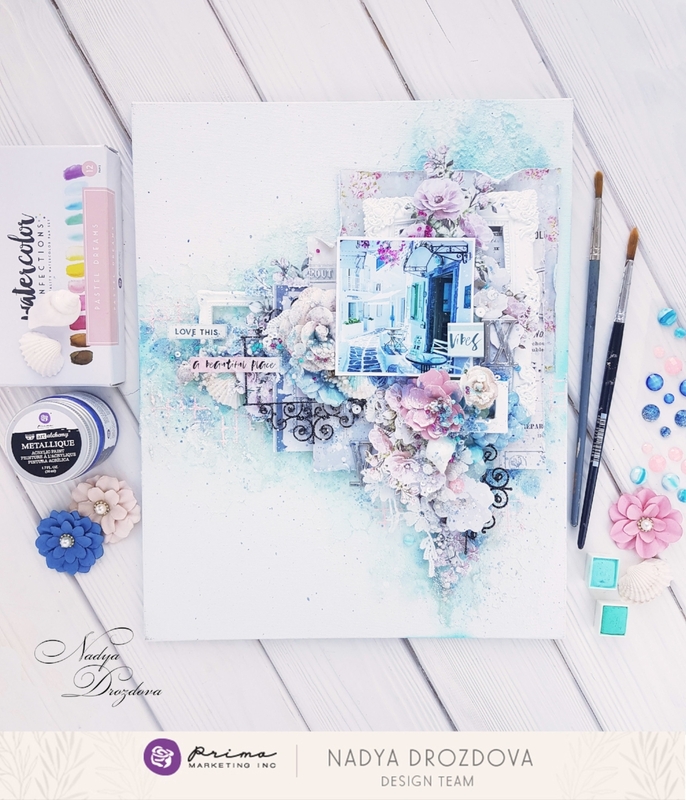 Mix and match the papers and embellishments to create tags, like these by one of our fans, Rachel Wade. 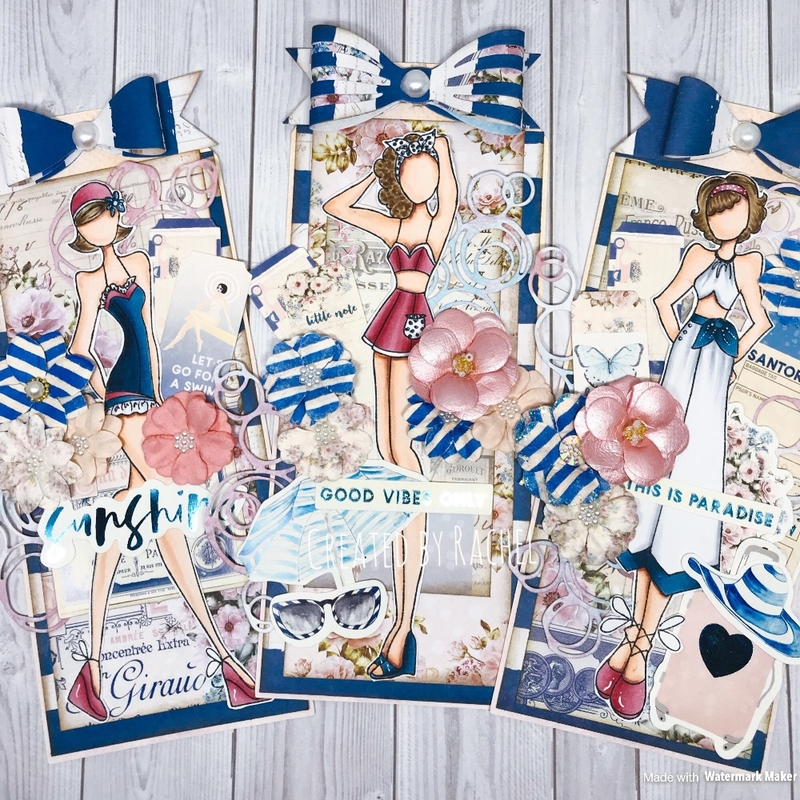 Julie Nutting's retro beach girls show off their style on the Santorini papers beautifully! 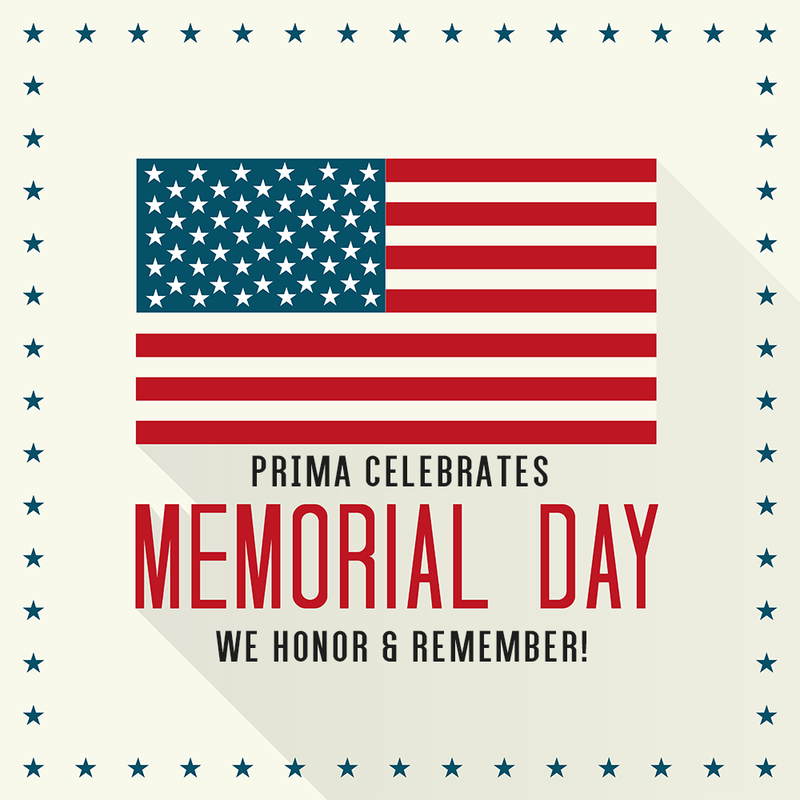 On this Monday we wish a Happy Memorial Day to all celebrating in the states! May we always remember, and honor, the sacrifices made for our beautiful freedoms.